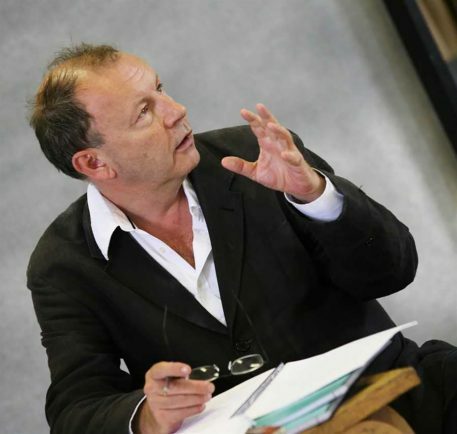 FORMER RSC artistic director Michael Boyd is returning to the RSC in Stratford to direct Tamburlaine. He has adapted the original two parts of Christopher Marlowe’s play which was originally staged in New York for Theater For a New Audience (TFANA) in 2014, but which has been rethought for its run at the Swan Theatre, from August 16 to December 1. Michael said: “We had a lot of success with Tamburlaine in New York, so it wasn’t a straightforward decision to revisit the play for the RSC, but in the end I felt that the world and our understanding of the nature of tyranny have changed so much since 2014 that we will have no choice but to reread the play anew for a contemporary audience. Michael was the RSC’s artistic director for a decade from 2002 and directed a huge range of productions including the Olivier award-winning cycle of Shakespeare’s History plays. He was also founding founding artistic director for the Tron Theatre in Glasgow, and was knighted for services to drama in 2012. The title role of Tamburlaine will be played by Jude Owusu. He was previously at the RSC in 2013 when he played Cinna the Poet in Gregory Doran’s Julius Caesar, and also appeared in Tim Crouch’s interactive one man show I, Cinna. His TV work includes Father Brown, Holby City and The Hollow Crown.